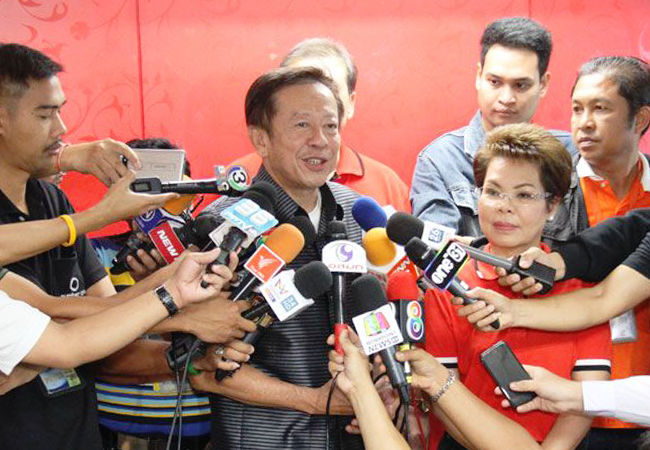 BANGKOK, 22 March 2019 (NNT) - Thailand’s Election Commission (EC) Secretary-General Pol Col Jarungwit Phumma has confirmed the EC’s readiness in facilitating Sunday’s general election and was confident that there will be no issues of fake or erroneous ballots. As for the handling of early votes, he said the EC has worked with Thailand Post to dispatch the early votes to its 15 hubs in Ayutthaya, Ratchaburi, Si Racha, Kabin Buri , Nakhon Ratchasima, Khon Kaen, Udon Thani, Ubon Ratchathani, Lamphun, Den Chai , Nakhon Sawan, Phitsanulok, Thung Song , Chumphon and Hat Yai for further distribution to their respective electoral districts. The postal trucks will be accompanied by the police and tracked by GPS devices to ensure that no ballots are intercepted or tampered with. Once they arrive at their locations, the ballots will be photographed and verified. Most ballots will arrive at their destinations by March 22nd, including votes from overseas. The EC assures that all will be sent to their respective districts by March 24th. Oh no, which Thailand Post employee's front room will there be thousands of voting slips discovered at?